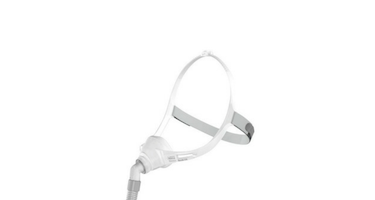 Comfort makes a world of difference with CPAP therapy and that’s why ResMed created the Swift FX Nano Nasal Mask system. This new compact nasal mask delivers an excellent user experience, without compromising on the big things that matter… like fit, comfort and ease of use. Swift FX Nano features minimal headgear that doesn’t require a rigid frame or forehead support, and it also comes with a low-profile nasal cushion that provides natural breathing comfort. It has a new ball joint elbow that moves with you while you sleep, plus the SoftEdge™ fabric backstrap is soft and comfortable with simple-to-use fasteners for easy adjustment.